According to Gemius the share of Belarusian internet users who shop online has hit 75 per cent. More than half of that number buy portable electronics and home appliances, nearly 40 per cent purchase concert and theatre tickets. The most popular method of payment is still pay on delivery; e-commerce payment systems are used by only 5 per cent of online shoppers. In March 2014 Gemius studied the e-commerce market in Belarus. As the results show, almost three-quarters of online users shop online, nearly 12 per cent made their first purchase within the preceding 6 months. 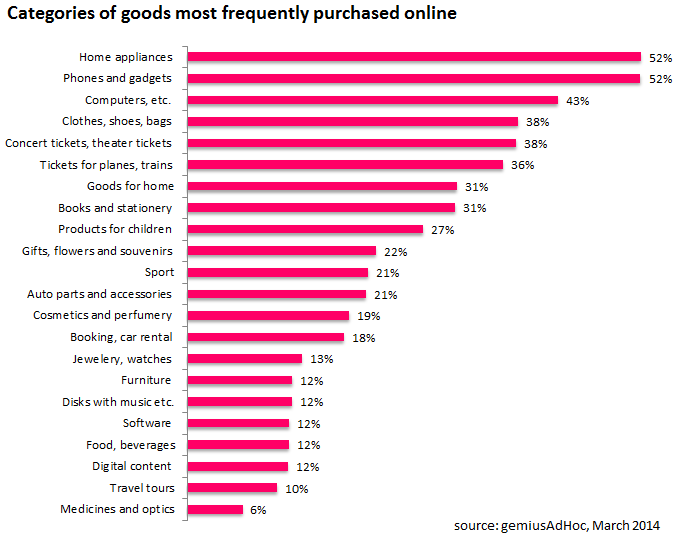 Most Belarusians bought online home appliances (52 per cent), phone and gadgets (52 per cent), computers and laptops (43 per cent) at least once. A slightly smaller number of users bought concerts and theater tickets (38 per cent) and tickets for planes and trains (36 per cent). The least popular category of goods among the Belarusian internet users is medicines and optics - only 6 per cent of users bought goods of the category. 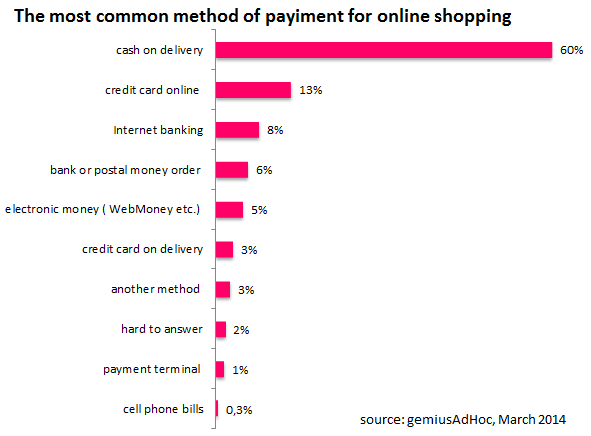 The most frequently used method of paying, cash on delivery, was chosen by almost 60 per cent of users when paying for their last online purchase. Credit card payment is in the second place among Belarusians: 13 per cent tried this method. The least popular method of payment was via cell phone (0,3 per cent). The study was conducted on Belarusian internet users by the Ukrainian branch of Gemius at the beginning of 2014.